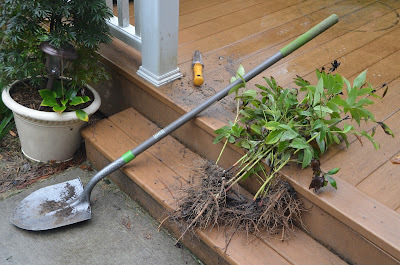 I was busy in the garden this past Saturday digging up plants for the Carolina Fall Plant Swap. 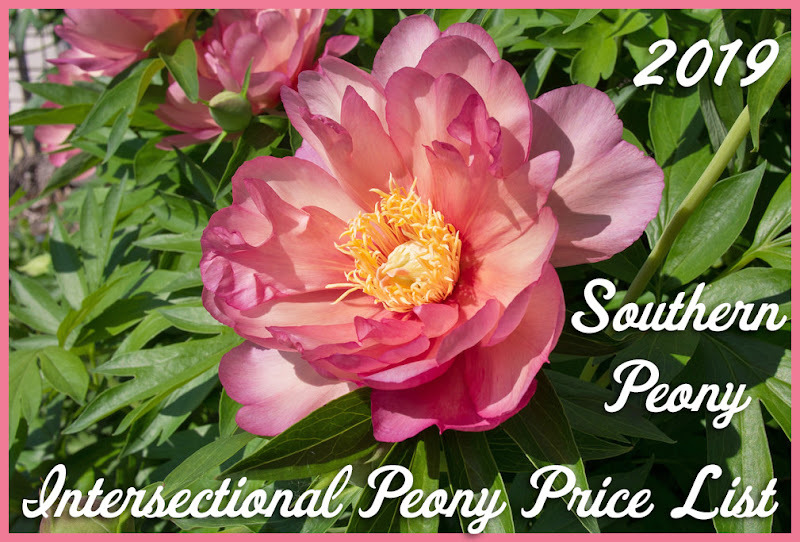 I managed to dig up 5 peonies for the swap. I hope these babies will grow in thrive in their new owners' gardens. Fall is the perfect time to plant peonies. So if you're thinking about adding these gorgeous spring beauties to your garden for a spring show, fall is the time to get them settled into your garden. I cut the foliage off of the three largest plants that bloomed this year, and kept the foliage on the two smaller ones. The gardeners at the swap actually picked up the smaller plants with the foliage first, perhaps mistakenly thinking that these were the largest or most established peonies. When it comes to peonies, the root size is actually what matters most. 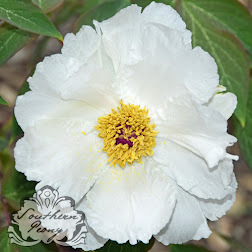 To get a peony that will have the best chance of establishing itself in your garden, you'll want to select a peony with lots of eyes on it, and a good root system.